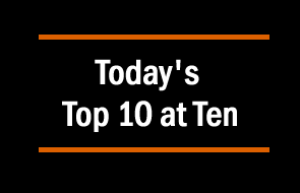 Today's Top 10 is a post from interest.co.nz's Jenée Tibshraeny. 1. Have we scared off the Indian students? The number of people arriving in New Zealand from India on student visas has plummeted. Statistics New Zealand’s latest migration data shows the number of Indian student arrivals fell 66% from August 2015 to August 2016, and 23% from the year to August 2015 to the year to August 2016. Meanwhile the number of students arriving from other parts of Asia has continued to rise. I don’t want to jump to conclusions, but this could indicate the bad press around sub-standard, and in some cases fraudulent, private tertiary education providers is deterring Indian students from coming to New Zealand. Perhaps students have caught on to the fact the $30,000 Certificate in Hospitality they’re being offered by a shonky Queen Street school won’t give them the better life they’re being promised. The world's biggest miner BHP Billiton has vowed to keep fighting the Australian Tax Office over a $1 billion tax bill mainly involving its Singapore marketing office. The ATO is chasing taxes dating back to 2003 from its Singapore operations and the now repealed Australian mining tax. It has accused the big miner of avoiding paying tax by channeling iron ore sales through Singapore. New Zealand is also losing millions, and perhaps even billions, of tax dollars to Singapore. IAG for example has been channeling its reinsurance recoveries for the Canterbury earthquakes through Singapore, inflating its losses in New Zealand and thus allowing it to legally avoid paying tax here. The FMA, the CFFC and the Ministry of Business, Innovation and Employment are pressing KiwiSaver providers to make fees visible as a dollar value in annual statements, rather than just showing investment returns after fees and tax - to help members make better-informed choices. The question is, should a Government-initiated retirement savings scheme, implicating New Zealanders with varying levels of financial literacy, be left at the mercy of the free market? Why doesn’t Goldsmith put some legislation in place to cap KiwiSaver fees and require providers to disclose these in a standardised, easy to understand format? Auckland mayoral candidate Chloe Swarbrick has been turning heads, as her campaign gains traction.The 22-year-old has secured 5% support in the Spinoff’s latest poll - a result that isn’t too shabby alongside Vic Crone, who secured 11% and John Palino who mustered 6%. Watch this Q + A interview and you’ll see what the fuss is about. Swarbrick approaches politics with refreshing sincerity. There appear to be no ulterior political or corporate imperatives holding her back. She’s the only candidate bold enough to call for house prices to fall. She isn’t afraid of the NIMBYs when she addresses the issue of intensification. She’s focused on getting the disenfranchised and disinterested involved in politics. She’s an advocate for transparency and vows to simply listen. While I consider Swarbrink’s inexperience an impediment to her being mayor this year, she’s given me hope around what a new generation of leaders could look like. Alex Sifakis never raised this much money this fast. The house flipper from Jacksonville, Florida, crowdfunded nine deals totaling more than $9 million through RealtyShares over the last two and a half years. A July deal for $1 million took him just 12 hours. Tower is a long-talked about takeover target. It's digestible, has a decent market share in what is a small market across the Tasman [NZ], and was subject to what it coined an "unsolicited low ball offer" this time last month. Since then, Tower shares have dropped another 30 per cent in the past 10 trading days, following a double-bunger of bad news for investors; first it said it was increasing its outstanding claims provision relating to the Canterbury earthquakes, and then said it was in a legal dispute with one of its reinsurers. The Australian Financial Review’s article is based on speculation and provides no hard evidence. Yet the issue is, IAG and Suncorp already hold a combined 71% share of New Zealand’s general insurance market. If either snatches up Tower, they’ll have another 5% market share, further reducing competition and possibly enabling premiums to be hiked. For more on what’s been happening with Tower, see Interest.co.nz’s coverage here. China has (unsurprisingly) refused to take Winston Churchill’s advice that “Diplomacy is the art of telling people to go to hell in such a way that they ask for directions”. This interview, The Nation’s Lisa Owen did with the Chinese Ambassador to New Zealand Wang Lutong, says it all. Discussing how New Zealand might be implicated by China ignoring an international tribunal ruling against it, in regards to its territorial battle in the South China Sea, Lutong provides some interesting insights into China’s diplomatic psyche. He uses strong language, not tip-toeing around the fact “We will do anything we can to protect our own interests and rights in this region”. Lutong’s demeanour is also fascinating. He refuses to be rattled and is (understandably) exceptionally calculated with his words. As the search for meaningful and purpose-driven work increases, technology transforms our lives, and our social and environmental challenges become ever more visible – never has there been a better time to re-imagine, and create the future. Here’s a bit of light entertainment for your Friday afternoon - a throwback to Phil Goff on Jono and Ben pre the 2014 General Election. I’ll endorse Goff’s sense of humour and leave you to decide whether or not you’ll endorse his policies in the Auckland mayoralty race. #4 "Why doesn’t Goldsmith put some legislation in place to cap KiwiSaver fees and require providers to disclose these in a standardised, easy to understand format?" Show yourself the door and take you damned logic with you. In my book Wang Lutong gets a similar ranking to Sergey Lavrov. .... carry on , Chloe ... you've made me very very happy ! Kind of makes it difficult to vote - I definitely don't want Crone or Palino to win so tactically I should vote Goff, but I also would like to show support for Chloe. Chloe Swarbrick deserves the publicity. More power to her and her supporters. Here’s someone capable of providing intelligent, refreshing representation for the younger generation. Just as important, she's surely also an admirable figurehead for those that want her generation to do well. Extraordinary how out of touch the Herald is, with a single sentence given to her in a 23-page election guide. Like living in a previous century. Or perhaps most of us are? Not only capable of representing her own generation but a few older ones as well. Move over Baby Boomers. Set aside her youth for a moment because we also have an intelligent, considered, articulate and clearly passionate and capable candidate. Ticking all those boxes means she clearly doesn't have a chance of making it at local level let alone national politics. If Chloe achieves nothing else but greater engagement with the electorate and gets more people out to vote then she will probably achieve more than the rest of the candidates combined. In the 1870's my Great Grandmother looked across at the hills opposite Lyttelton and declared that having been raised on a farm, she had "no intention of bringing up her children cooped up in a backyard". The housing shortage has been caused by Labour in it's desire to shrink New Zealand's (170 year) inhabitants to one of many ethnicities and the property construction sector by pushing mass migration. She has no axe to grind? It occurs to me that a $4,000,000 property portfolio is not much good to you (not the nest egg you imagined) if you have to spend $5,000,000 to treat yourself or a family member during a serious illness! "This would strengthen, lengthen and broaden pharmaceutical monopolies on cancer, heart disease and HIV/AIDS drugs, and in general make even life-saving drugs more expensive and inaccessible in all the member countries. It would require further transformation of countries’ laws on patents and medical test data. It would reduce the scope of exemption in use of medical formulations through public procurement for public purposes. All this is likely to lead to reductions in access to drugs and medical procedures because of rising prices, and also impede innovation rather than encouraging it, across member countries." You read this article and at the end it says "Originally published at The Frontline"
Jono & Ben as much fun as chasing imaginary Pokemon Go. Any wonder why the likes of Trump & Hilary are running for president. Jono & Ben are a classic example of how stupid and gullible people are, even politicians. Tell people to do ridiculous things and like robots they do it.